We will look to answer these, and social accounts like Facebook and Twitter, between “immediately to 12 hours”. What contact info is NOT in use as of 1.1.2015? If these methods are used, you can expect “no to REALLY slow” response. We will create instructional videos on our Youtube page. We apologize that at this time we cannot assist in a more engaging manner. This year, our focus is going to be building the website in all areas from jobs to support and creating the best product. However, we are a team of 3 people and although we are fast, we cannot do things like walking a person through setting up a profile. We have videos to show you. We are doing our best to work “smarter”. We need to bring jobs on the website. We hope you understand and thank you for your patience. This week, Rudy Gaskins (in image below) co-creator of That’s Voiceover! took some time to stop by the Realtime Casting NYC office at Lotas Productions. Rudy Gaskins, the CEO and Executive Creative Director of Push Creative, jumped in the recording booth run by GM Jim Kennelly to record this interview below with Andrew Peters, Realtime Casting founder, speaking from his Melbourne, Australia booth nearly 10,300 miles away! The inspiration behind That’s Voiceover! Interested in attending That’s Voiceover! ? 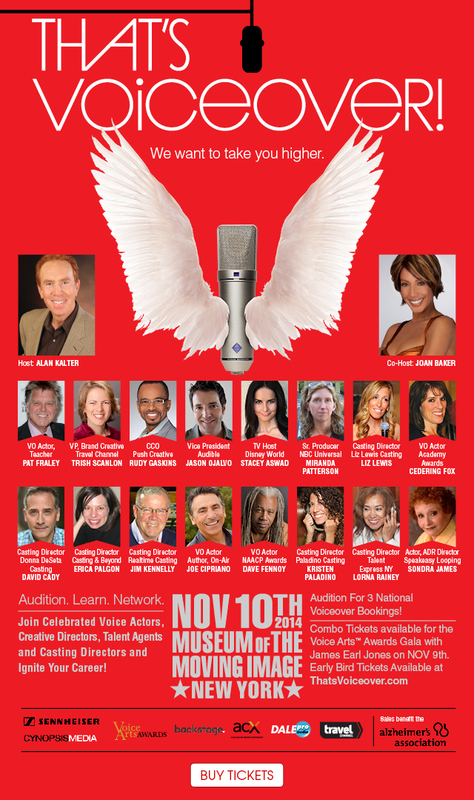 Our own Jim Kennelly will be in attendance at That’s Voiceover!, offering advice on your demos. We hope to see you there! ps- Dont forget our own Jim Kennelly will be there, producer at Lotas Productions! Over the years, I have built a few voice over booths in places like cupboards, small sheds, bigger sheds and finally…a car garage. The main challenge is always understanding the difference between sound proofing and acoustic control. Through trial and error (and yes…there were a few expensive mistakes along the way) I came up with a pretty good design. Before you start remember the outside dimensions will be somewhat different from the inside dimensions. Therefore, it is best to work from the inside out when calculating the size of the voice over booth. In my particular case I had one small issue; a pitched ceiling. This is good news because it eliminates one right angle, but the bad news is it becomes a trip wire for someone not skilled in any building trade! Once I worked out “where I was going to build it” I had to work out “how”. Building against walls, especially walls I could NOT touch, makes construction challenging. I had to build two of the walls at another location and then bring them in order to secure them to the floor I had built. Once I had the two walls up, the third wall and framework for the door could be built. The next trick was the ceiling, which I had to slide into place, then screw to the inner stud-work. You can see from the pictures of construction that it was not a simple task. Once the walls were in place everything had to be sealed to make sure the booth would eventually be airtight. Any air getting in brings with it sound. The materials used in building a voice over booth are the key to its performance. 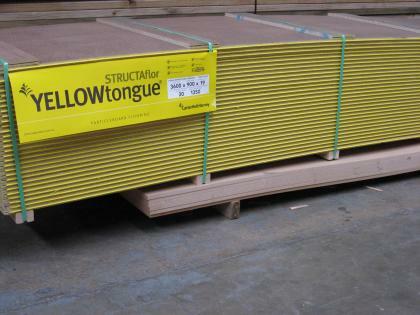 I have experimented with all kinds of materials in the past, but my favorite has always been “yellow tongue-floor timber”. This material is dense, VERY heavy, and when you get multiple layers in place, it is sure to work. I also had a plasterer finish off the outside to make it look nice, but I also did that to add another layer. – Heavy-duty rubber to float the whole structure. I also used a second layer between the two layers of flooring. – Auralex is superb and worth the money. Important note: Remember Auralex is not soundproofing. It is used in order to control sound inside the booth. – Double-glazed patio door, and make sure it is well-sealed; no cheap stuff. Spend the money for a door with a good energy rating and acoustic qualities. These also save you the task of having to build a double-glazed window (I’ve built one!). My booth has been put through the ultimate test; a major construction site next door! I was able to have a voice over session, as 4 jackhammers were going, and my voice over booth worked perfectly. Are you planning on building a voice over booth? Did you build one already? The Multi-Talented Performer Ezra Knight!